I believe our judges should be fair, independent, and removed from political pressure. 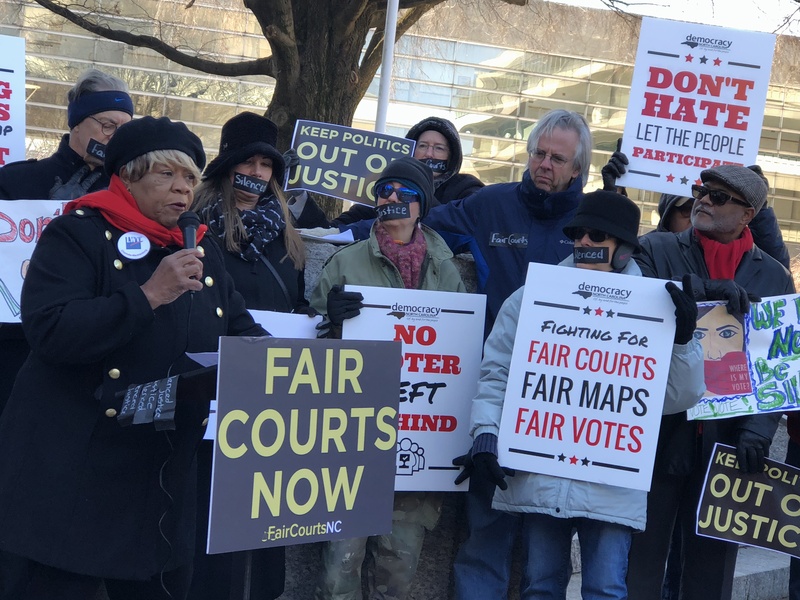 I strongly urge you to oppose any legislative proposal that replaces the voters' ability to elect judges with a system that allows lawmakers to pick judges who will tilt the scales of justice in their political favor. Our independent courts are under attack. Help fight back. Our judges should be fair, independent, and removed from politics. 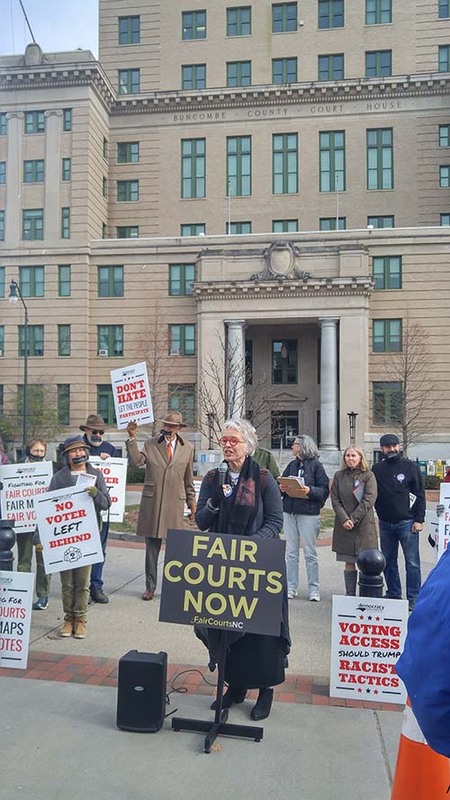 Hundreds of people came to the legislature on the Fair Courts Day of Action. 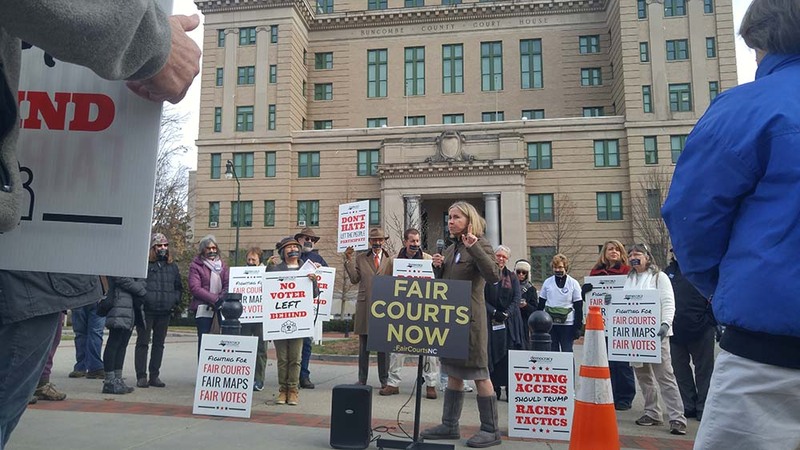 A large crowd in Fayetteville demanding fair courts. 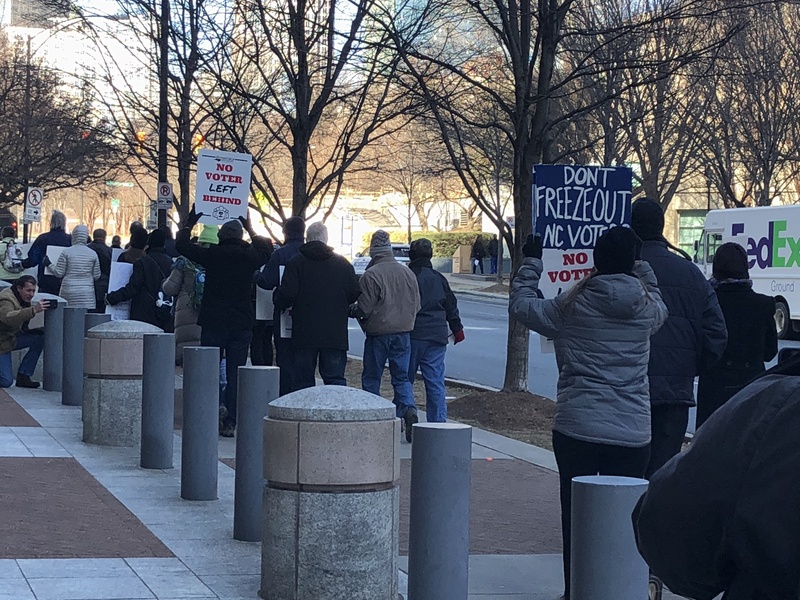 The cold didn't stop these Charlotte voters from shining a light on lawmakers attempts to rig our courts. 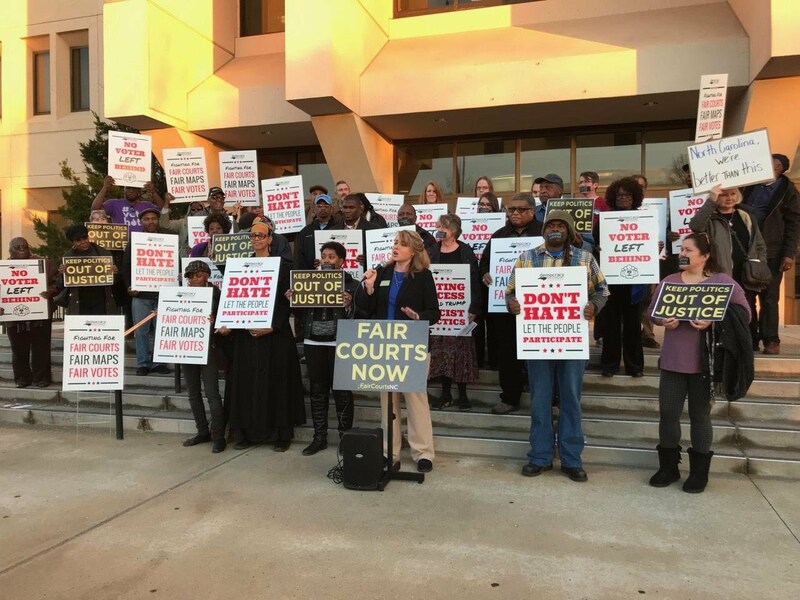 Charlotte residents marched up to the court house and held a press conference. 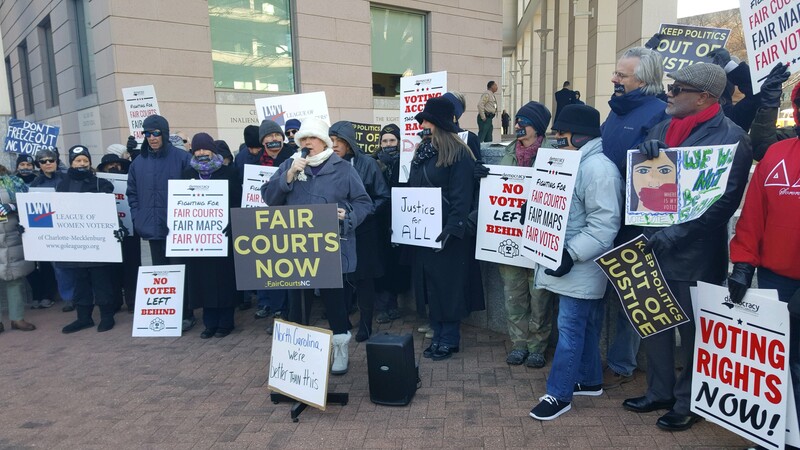 Greensboro residents demonstrate in freezing temperatures to fight for fair courts in NC. 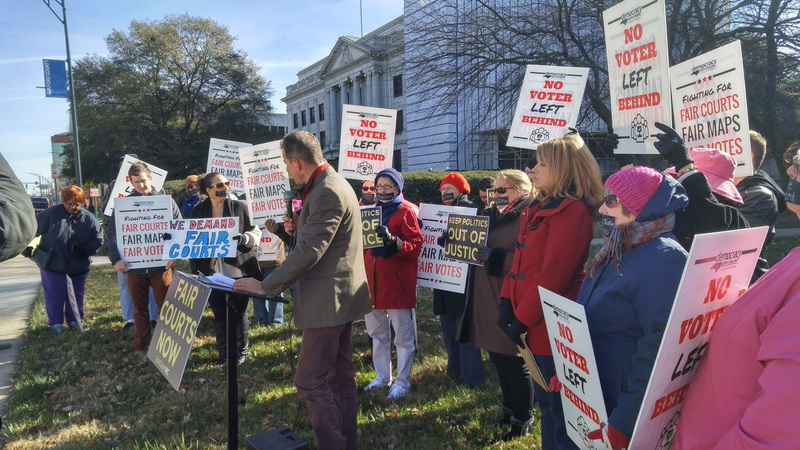 A crowd of over 40 Greensboro area residents stand in the cold to demand fair courts for North Carolina. 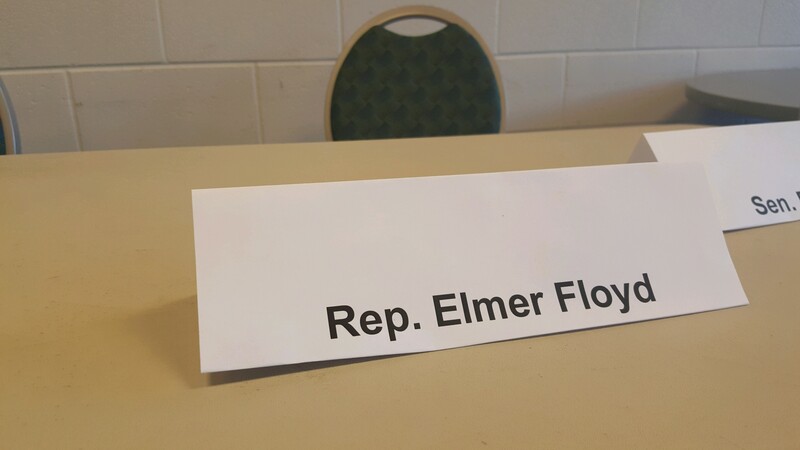 Rep. Deb Butler sits alone at the Fair Courts Town Hall in Wilmington. 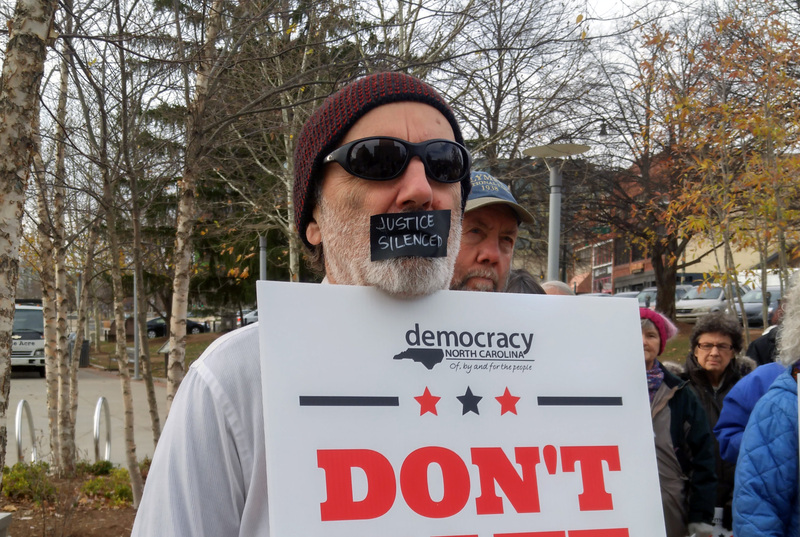 A crowd in Asheville demonstrated with tape over their mouths to symbolize how lawmakers are trying to silence voters. 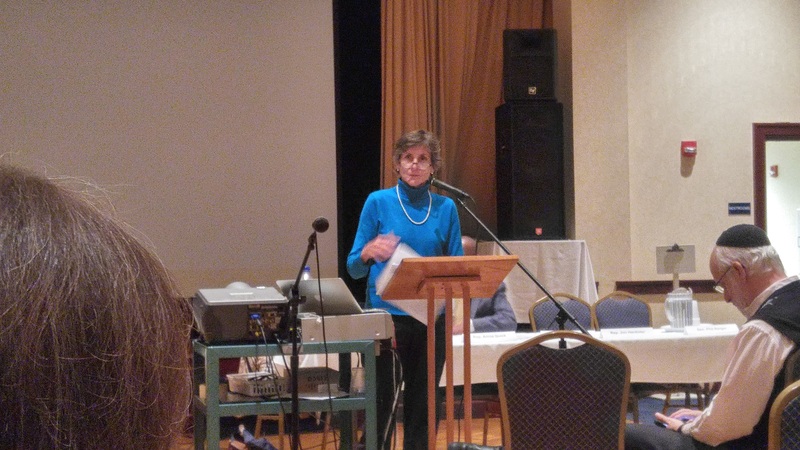 State Rep. Susan Fischer addresses the crowd in Asheville with grave concerns about NC courts. 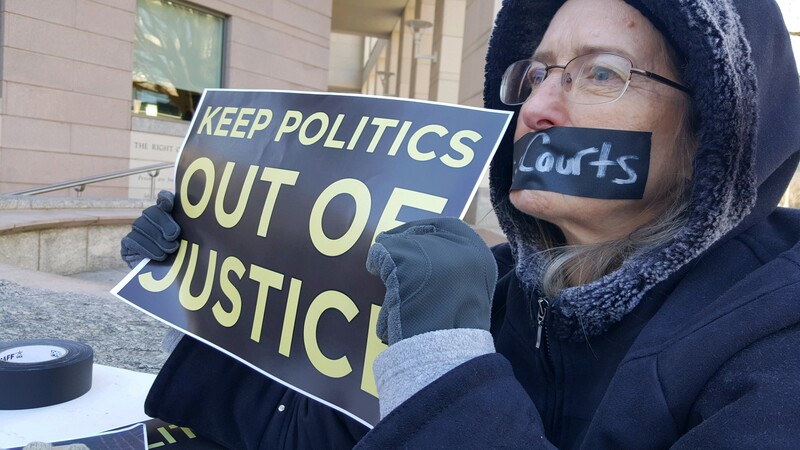 Participants wrote "Justice Silenced" on tape and put it over their mouths in protest of lawmakers trying take over the courts. 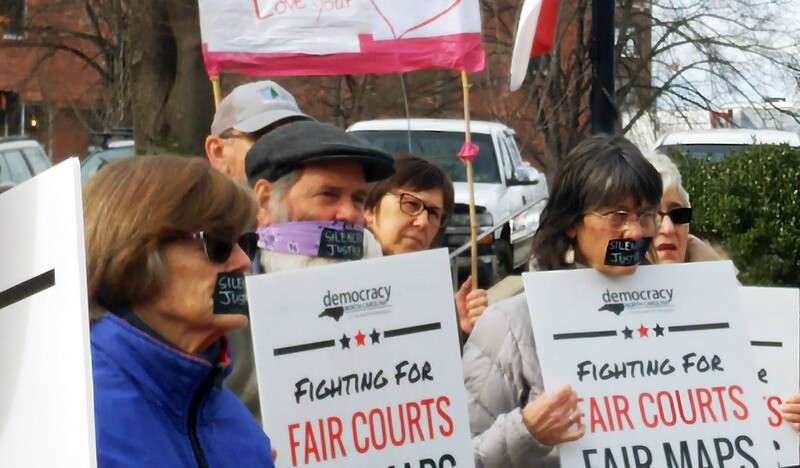 Asheville crowd removes the tape and chants for fair courts now. 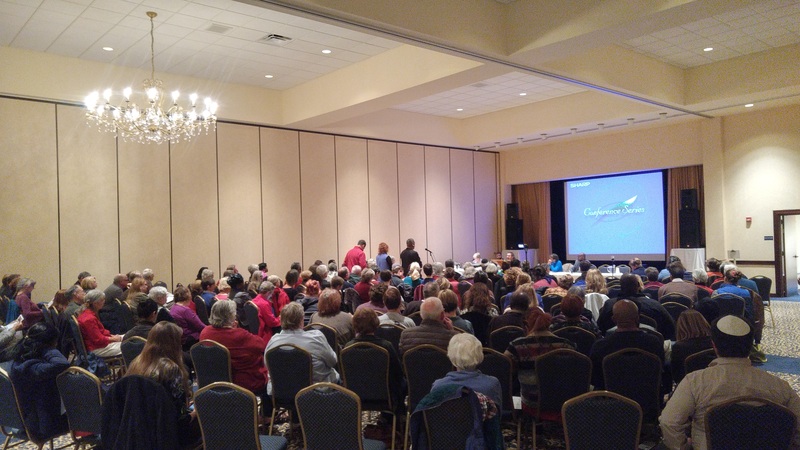 175 Greensboro area residents turned out to the Fair Courts Town Hall on Nov. 30th. Engaged crowd listens intently to what lawmakers have to say. 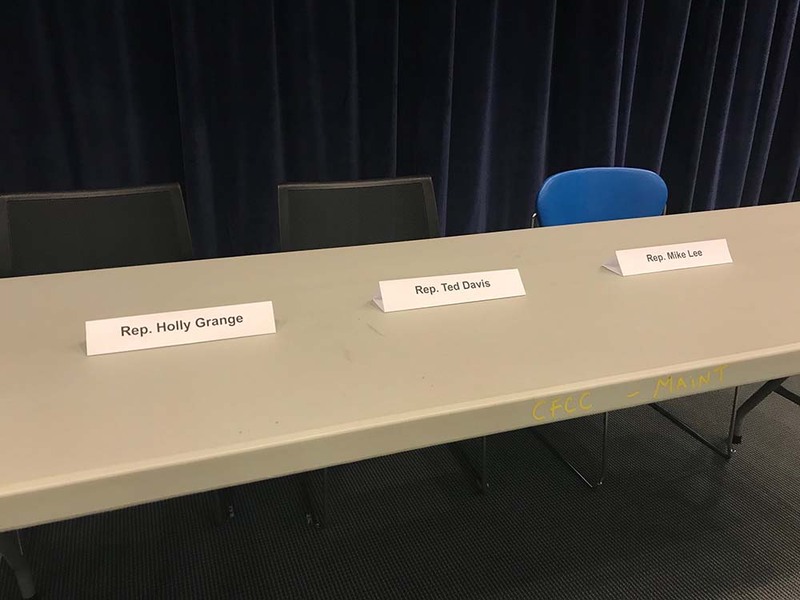 Lawmakers who did not sign the pledge or attend the town hall were given an empty seat. 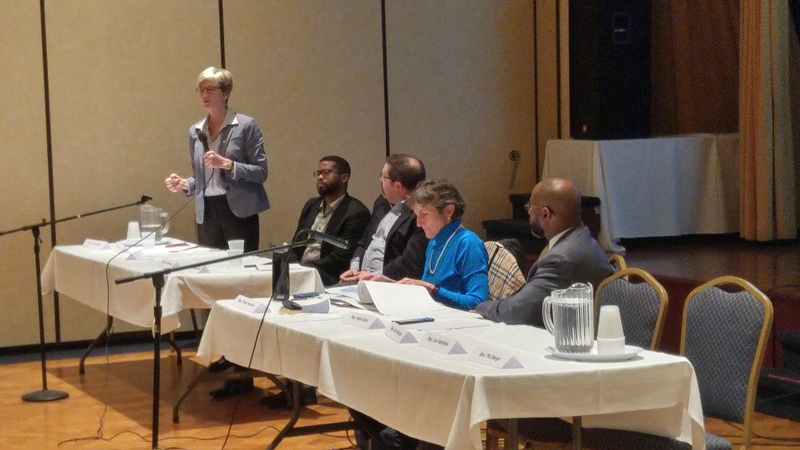 A panel of lawmakers and members of the legal community answer questions and share serious concerns about the future of our courts. 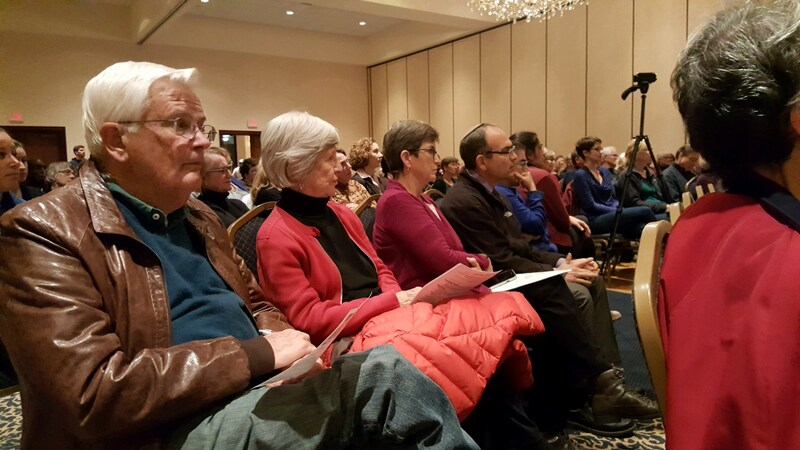 Members of the public patiently waited in line for a chance to ask questions of the panel. 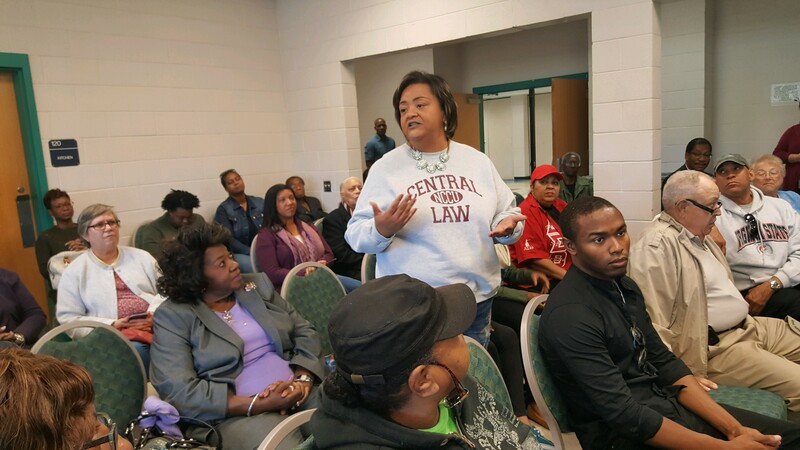 Citizens ask what they can do to fight the attack on our independent courts. District Court Judge Bill Davis shares his grave concerns for our courts, explaining that judges must be impartial. 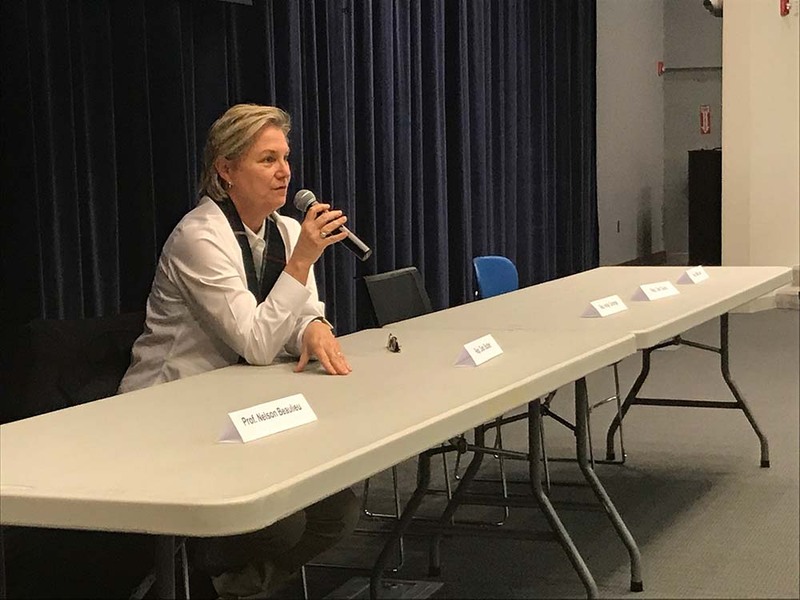 Many lawmakers were conspicuously absent from the Greensboro town hall. 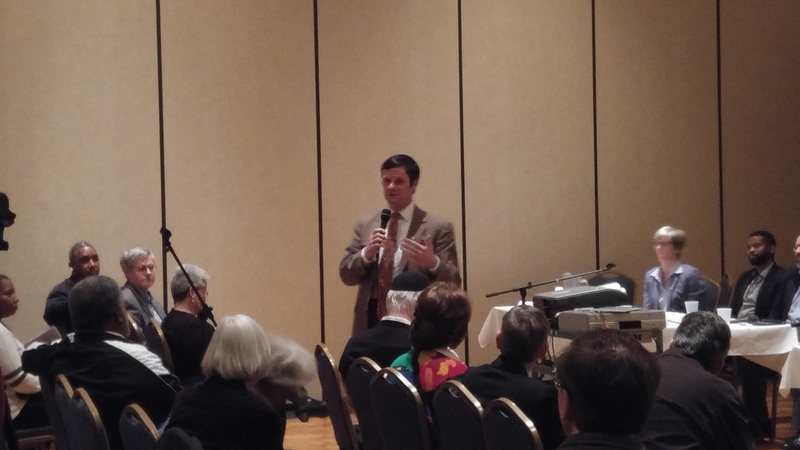 Rep. Pricey Harrison addressed the audience with dire concerns about the independence of our courts. 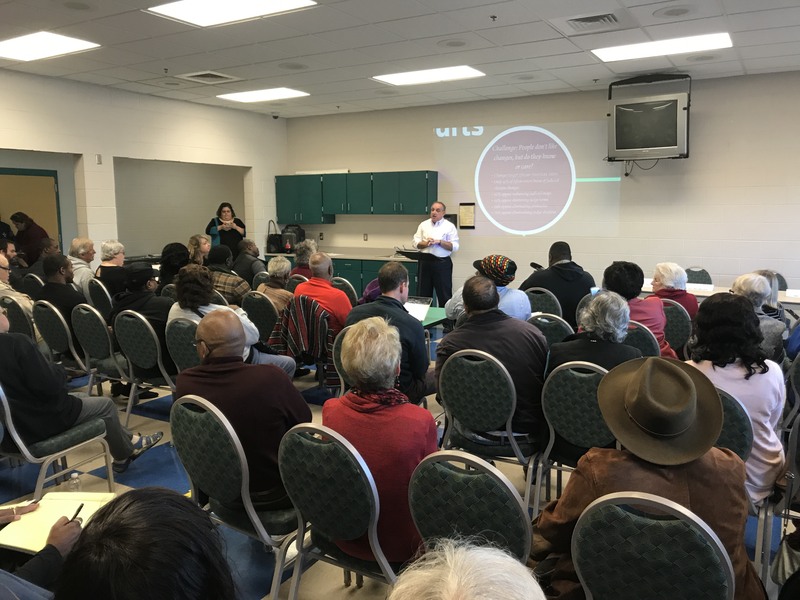 Fayettville residents pack the room to hear a presentation about fair courts. 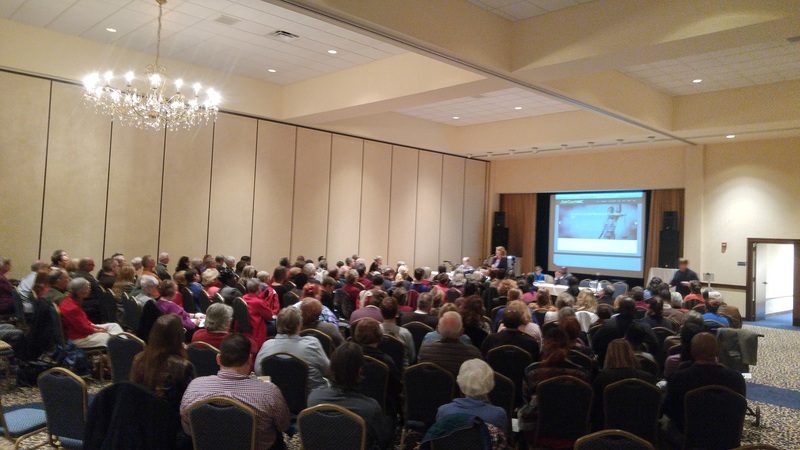 Fayetteville residents pack the room to hear a presentation about fair courts. 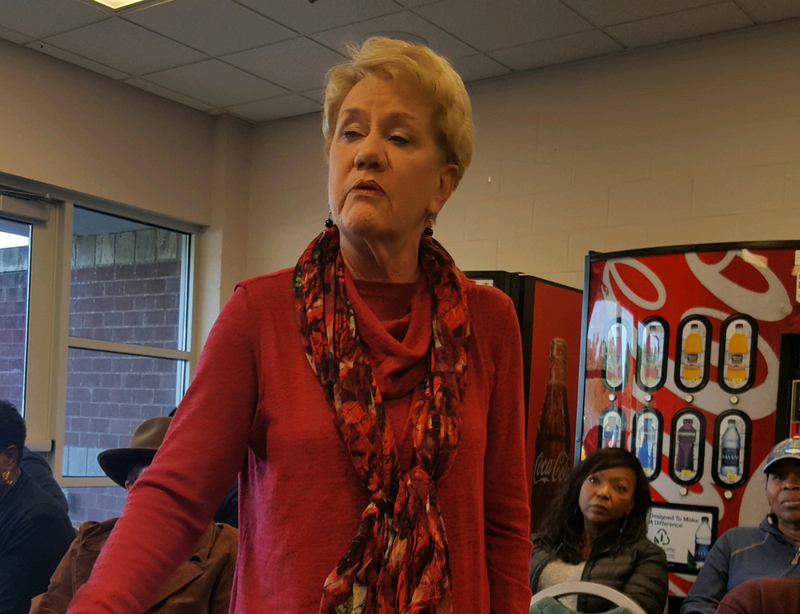 Cumberland Co. Superior Court Judge Mary Ann Tally and four other Cumberland Co. judges all sounded the alarm against the eroding of our independent system of courts. 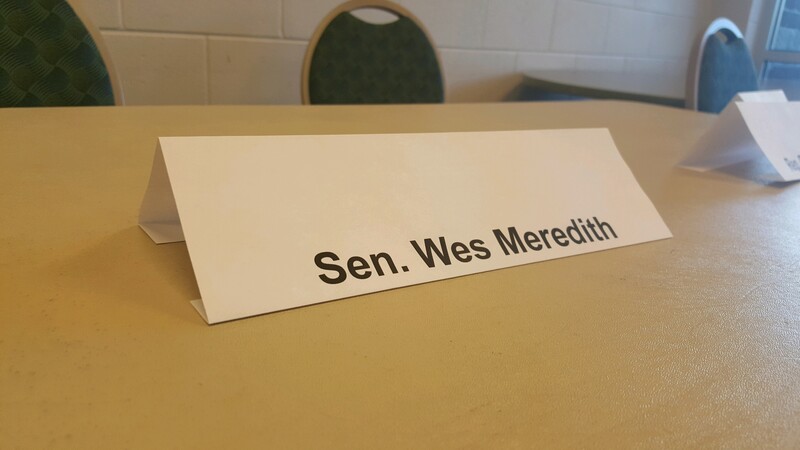 Empty chairs are labeled for state lawmakers who do not attend and refuse explain where they stand. 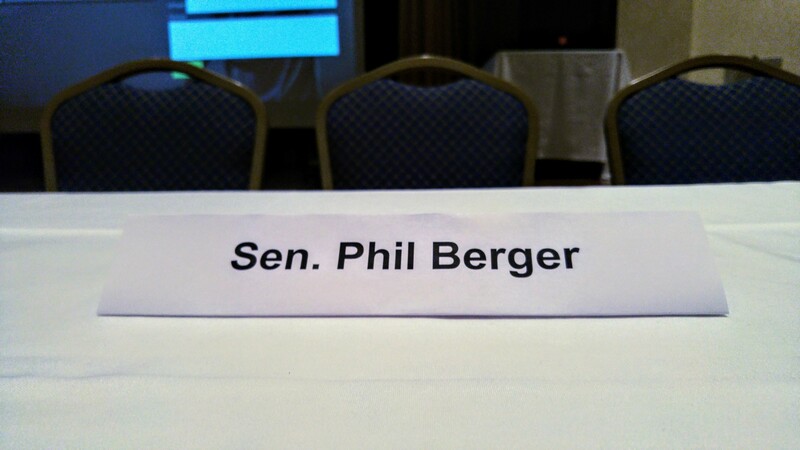 A personalized seat is reserved for lawmakers who don't sign the Fair Courts Pledge and don't show up to face voters. Participants in the Fair Courts Day of Action hold hundreds of signs as they listen to speakers outside the legislature. 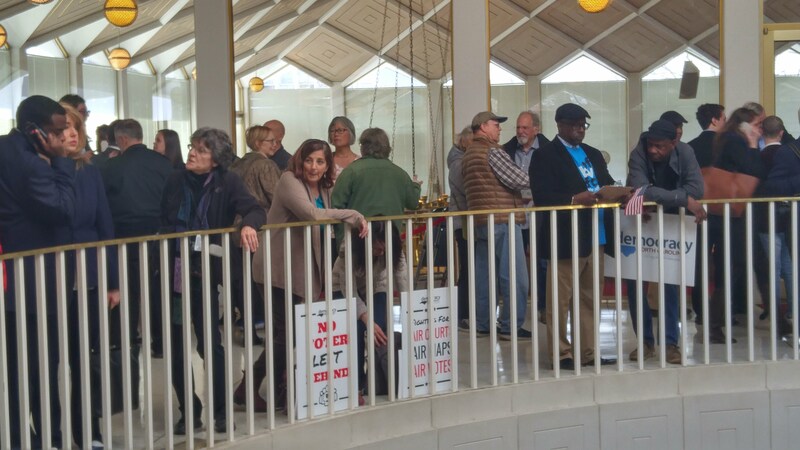 Standing room only inside the legislature as Fair Courts Day of Action participants watch the General Assembly come to order. 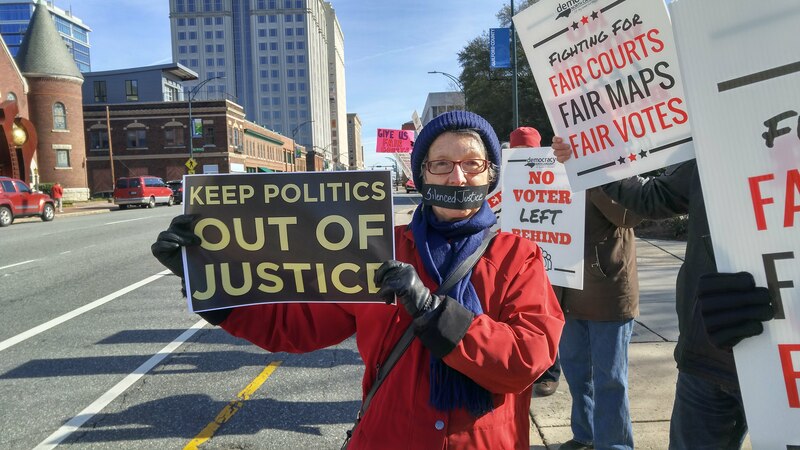 Unfortunately, politicians in Raleigh are trying to gain partisan control over the courts and rig the system in their favor. First, they canceled primary elections for judges, and now the politicians want to cancel judicial elections altogether and simply appoint judges themselves. Our courts need more independence and less partisanship, not the other way around. 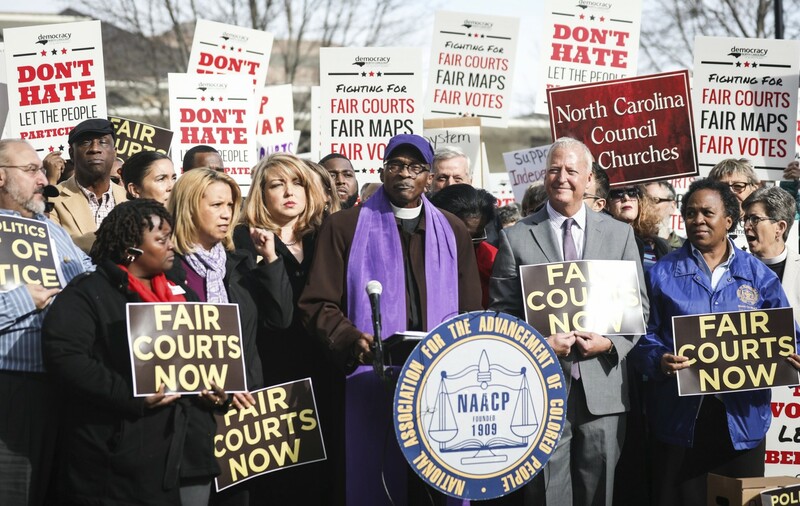 If our state legislature appoints judges instead of the voters, the politicians will cherry-pick judges who tilt the scales based on political ideology, not fairness. Politicians are trying to gain partisan control over the courts and rig the system so they can enact their extreme agenda in spite of the will of the people. By changing the rules of the game, they’ll be able to continue to give tax breaks to millionaires, cut funding for public schools, and protect corporate polluters. Overall confidence in our court system is at an all-time low. This scheme by politicians to rig the judicial system in their own favor will only further erode people’s faith in the courts to provide justice fairly and impartially, free from the influence of big money. 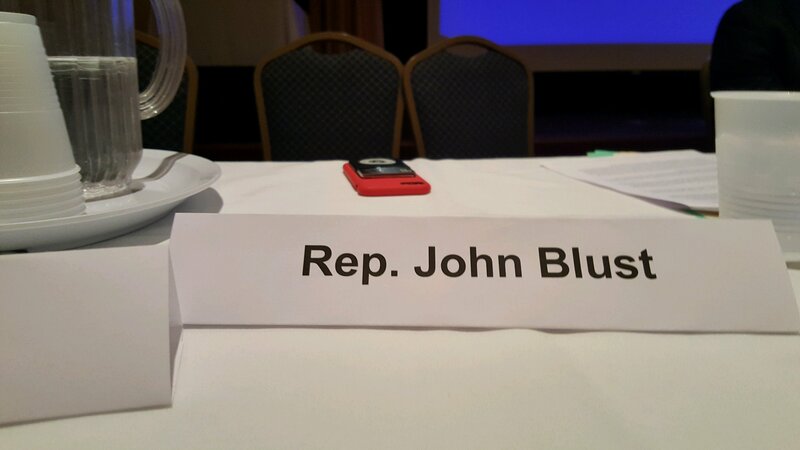 Canceled primary elections for judges, making general election ballots longer and more confusing. 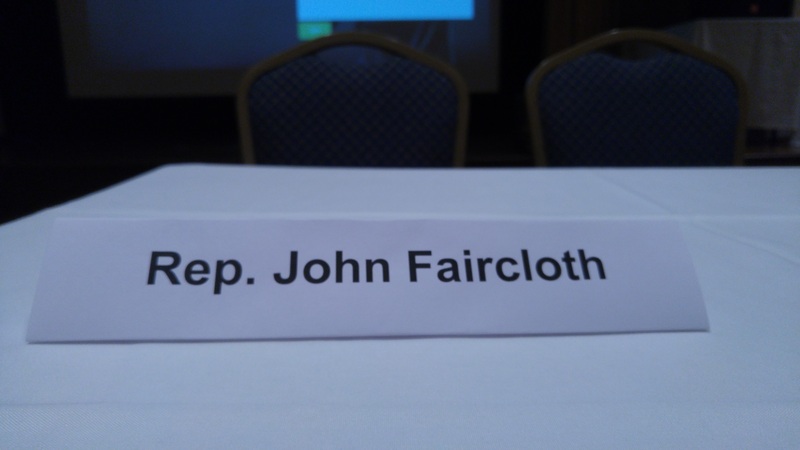 The first step toward canceling judicial elections altogether and letting politicians appoint judges instead of voters. 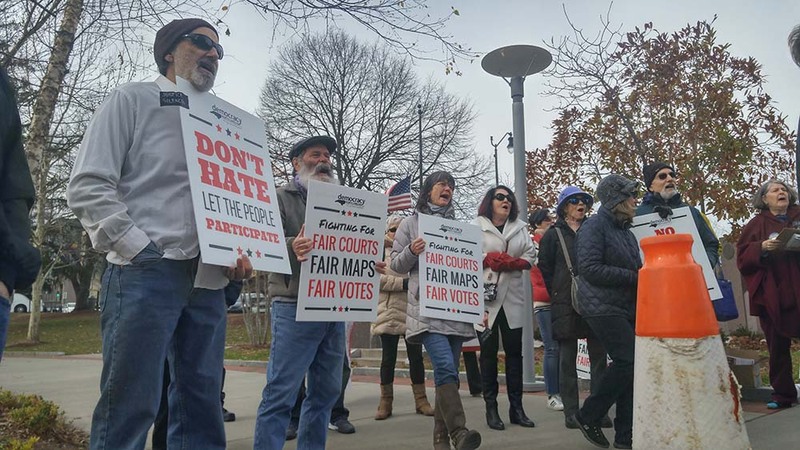 Gerrymanders the judicial system, just like they did with the unconstitutional legislative maps. Nearly half of all black judges would be packed into a district with another incumbent, forcing them to run against each other or step down. Cuts all judges’ terms to two years, forcing judges to campaign and hold political fundraisers instead of dispensing justice. A judge elected to an eight-year term in 2016 would be forced to run again in 2018 after having their term cut. 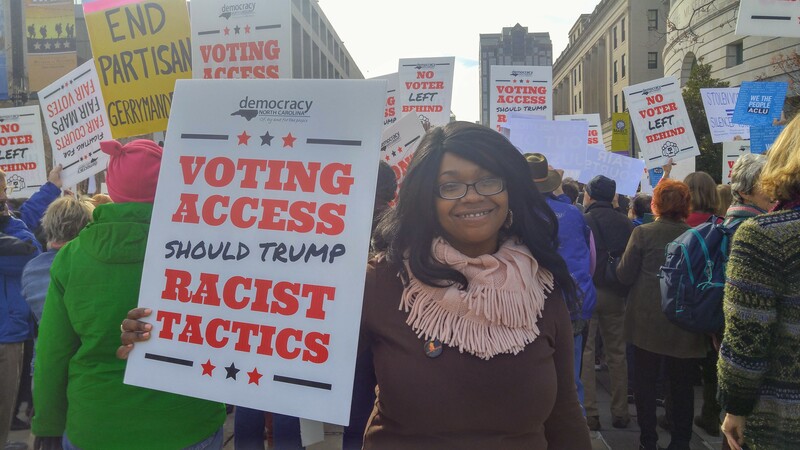 Eliminates judicial elections altogether, letting politicians rig the system by cherry-picking judges who will rule based on political ideology and rubber-stamp their radical agenda. Paid for by Fair Courts Now. Not authorized by any political party, candidate, or committee.